Slice 3 slices of cucumber. Muddle the cucumber slices, basil, lime juice and agave nectar in the cocktail shaker. Add ice, gin and shake vigorously. 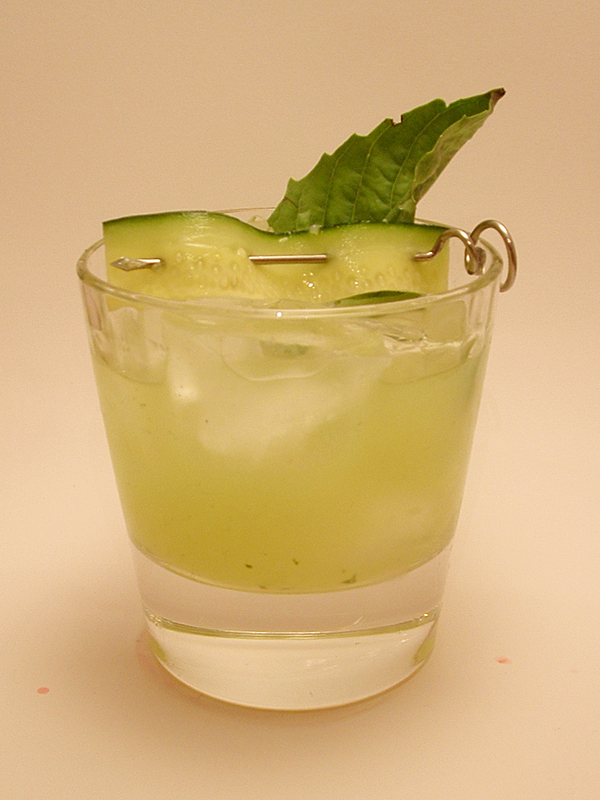 Strain into a chilled martini glass and garnish with a long slice of cucumber and a basil leave.